As Avengers: Endgame inched closer, it was but a matter of time before the promotional partners and licensees associated with the production would start selling their affiliated products. Because of the debut of the film closing in, the first official look at the new Avengers uniforms, believe it or not, came courtesy of popcorn manufacturer Orville Redenbacher. 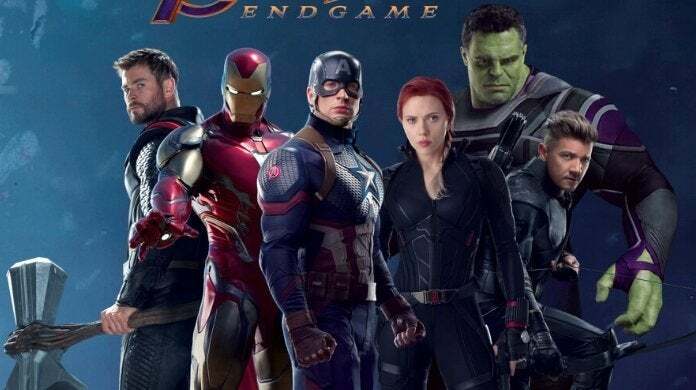 The new uniforms came almost immediately after an international Disney website seemingly posted the first official synopsis for Endgame, which you can find below. Avengers: Endgame is out in theaters on April 26th. Other Marvel Studios movies scheduled for release this year include Captain Marvel on March 8th and Spider-Man: Far From Home on July 5th. Keep scrolling to see everything we now know from the new Avengers costumes! As expected, Tony Stark (Robert Downey Jr.) will build yet another iteration of the Iron Man armor. In the leaked promo image, the armor looks awfully close to the nano-tech armor the first debuted in Avengers: Infinity War. The major change, of course, silver and gold plating along his shoulders and biceps, in addition to running along the front of his legs. Since his Infinity War armor was called his Mark L (50) version, it's probably to say this would be Mark LI (51). After spending time on the run after the events of Captain America: Civil War, it looks like Steve Rogers (Chris Evans) is picking up the shield once more and donning the Captain America suit again. In the first Endgame teaser released, Rogers could be seen standing in a quinjet speaking with Black Widow (Scarlett Johansson) while wearing the blue and white costume he wore during Captain America: The Winter Soldier. That's not the case here — it appears Cap's donning an all-new suit with additional red trimming along the arms. Not only that, the Avengers logo can be seen on his shoulder, a first since Avengers: Age of Ultron. Are we actually getting the Hulk back? According to this box of popcorn, we sure are — and it seems as if he'll be in his most advanced stage yet. It's been long speculated that we'll get some version of the hyper-intelligent Professor Hulk at some point in Avengers: Endgame and this image would seem to confirm that. Before, we'll only really seen the Hulk in his iconic shorts or the gladiator garb on Sakaar (Thor: Ragnarok). Here, he's wearing a full body suit and looks nearly identical to Mark Ruffalo. At the very least, this is the most Hulk has ever looked like the actor. It's just a matter of time before Black Widow will be sporting her iconic red hair. That is, of course, should this art prove to be accurate. Long-speculated, it looks like the character is letting the blonde out of her hair. In this image, she's wearing a braid that mirrors reports of what the character looked on set in a few shots, down to the red-to-blond gradient that runs through her braid. It also looks like she'll be getting an all-new uniform too, this time with red accents on her belt and wristbands. It should be noted that it looks like the character is wearing the mysterious wrist device we also saw in set photos with Stark, Rogers, and Ant-Man during the presumed Battle of New York. As of yet, we have no idea what exact role these devices will play, although ComicBook.com's JK Schmidt speculates they may be the key to defeating the Mad Titan (Josh Brolin) himself. New hair? Check. All black armor? Check. Hawkeye is about to go full-on Ronin, much to the delight of fans. Though we don't necessarily know what sends Clint Barton (Jeremy Renner) over the edge, it's been long-speculated the character lost his family in The Decimation, and that's what leads him to drop the Hawkeye mantle for the vigilante ninja look. It should be noted this look for Hawkeye isn't entirely new, we first saw the character make his triumphant return in the first Endgame teaser released last December — this is just a better quality still than what we've seen so far. Last but not least, it appears Thor's (Chris Hemsworth) look remains entirely the same. With the same hairdo and costume he wore in Avengers: Infinity War, Thor is still sporting the same exact look he had when he had the chance to kill Thanos. In the image, he still has Stormbreaker, complete with the Groot-arm handle — so as of yet, Mjolnir's nowhere to be found. Did you notice anything else in the promo art? What new costume do you like best? Let us know your thoughts in the comments below or join the conversation online by hitting me (@AdamBarnhardt) up on Twitter to talk all things MCU!